Caring for a pet really is a childhood rite of passage. The excitement of nurturing another being — which quickly becomes a best friend — is incomparable to anything else. The experience creates lifelong memories, and we always remember our first pet. Experts say a child's physical, social, emotional and cognitive development can all be encouraged by interaction with the family pet. Having a pet helps kids improve their motor skills and also just increases overall activity. In fact, a 2010 study showed that kids in England who had a dog exercised on average 11 minutes more a day than other children who didn't have a dog. Doesn't sound like a whole lot, but a little bit of exercise every day can be seriously beneficial to children. You know how the saying goes: "Dog is man's best friend" — which is true. But pets can actually help people make new human friends too. For children especially, pets can be a wonderful catalyst for socializing. Children are more prone to approach and interact with another child who is playing with an animal, so a pet can be the bridge between a less socially outgoing child and other potential playmates. And kittens and puppies aren't the only pets that can help kids make friends, Wood's study showed that other kinds of pets, including rabbits and snakes, can also be catalysts for making friends and finding social support. According to the Pet Health Council, kids who have pets have higher self-esteem. "Children with low-self esteem may talk to, or confide in, an animal in ways they would not with people," the PHC reports. "They are often more confident in performing tasks they find difficult with an animal simply because the animal does not care if mistakes are made, nor will the child be afraid of looking silly in front of the animal." Makes sense, right? A pet is basically a source of unconditional love who provides support but never judges. Moreover, kids with pets tend to be more capable of showing empathy to other people because they learn how to nurture their animal. Can having a dog actually make a child excel in school? According to a 2011 study, yes. The study done on second-graders showed that the ones who read aloud to a dog actually made bigger strides in their reading ability than their peers who read out loud to an adult — possibly due to the dog's ability to help reduce a child's stress and the fact that a dog provides nonjudgmental support. Having a pet might also encourage a child to learn more about animals in general and in turn foster an appreciation for research and science. Adopting a pet is a huge commitment and shouldn't be taken lightly, but it might be the best thing you could ever do for your kids' childhood experience. If you’ve been around dogs for a long time, you’ve probably walked a pooch that tugs pretty hard on the leash at some point. They pull against the tension, choking themselves on their collar, and you might think that getting a harness will solve that problem. You may be right, but there are important pros and cons to consider when deciding between using a collar or a harness. If your dog does not pull on leash and has no trachea or respiratory issues, then a collar is a good option for everyday. Large or small, it really doesn't matter. The only time a traditional collar is not recommended is for dogs that pull, lunge, or are at risk for tracheal collapse. 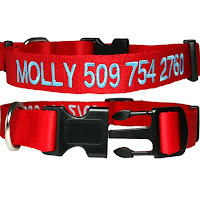 Collars are certainly the most traditional approach when it comes to walking and training dogs. Most people are familiar with the signature, necklace-like collar, however, collars come in alternate forms like the metal choke collar (not recommended) and the martingale. 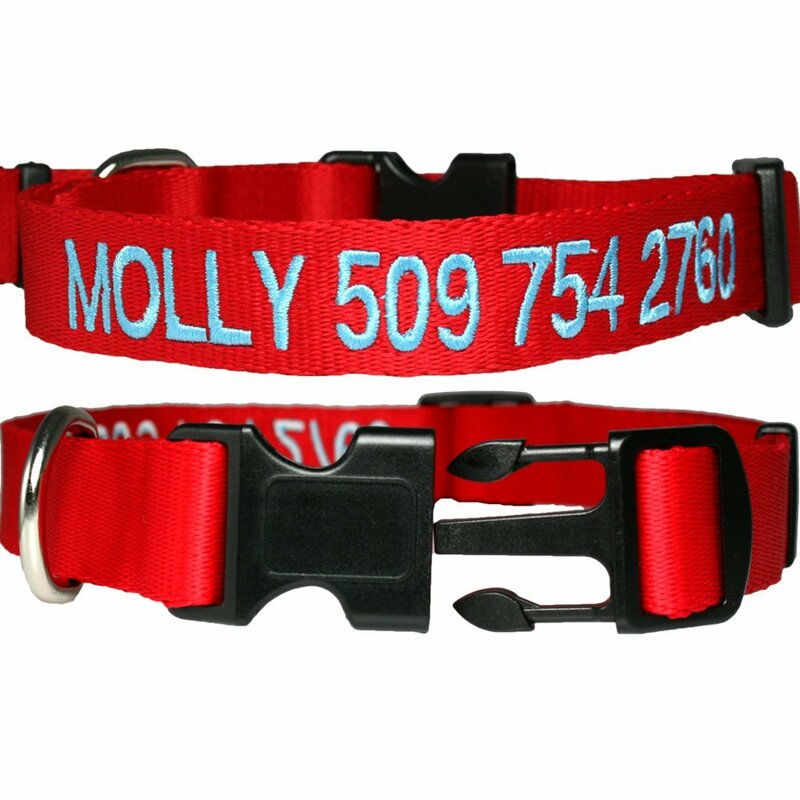 We don't necessarily recommend the metal choke collar or its cousin the pinch-prong collar. These styles can be potentially harmful for your dog and we feel there are more positive ways to train without choking your dog to get his/her attention. The best options are really your classic collar and martingale. – They’re good for pups who dislike the feeling of a harness and crave comfort. – They’re not ideal for training. – Any slight pulling could increase the likelihood of a neck injury. – Positively also outlines more severe problems such as thyroid issues (the collar could damage the gland), behavior problems due to pain and injury, and ear and eye issues from neck pressure. 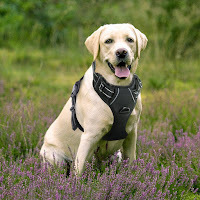 Harnesses are becoming more and more popular as dog owners discover the advantages they can offer. They are great training tools for puppies learning to behave on leash, and they allow walkers to have a bit more control. Harnesses discourage pulling and allow you to stop your dog from jumping up on strangers without worrying about choking. Dogs on harnesses are also less likely to be tangled up in the leash accidentally. Another advantage harnesses have over collars is that they reduce the risk of neck injury, especially for delicate toy breeds. They also cause less restriction for breeds like Pugs and French Bulldogs that are prone to respiratory problems or tracheal collapse. If your pup has any trouble breathing, a harness is likely the best choice. Collars can also cause certain breeds’ eyeballs to protrude from their sockets if too much pressure is applied to the neck. – It’s an effective training tool, especially for puppies. – They provide better control over your dog because it discourages pulling and jumping. – They keep distracted pups focused. – They’re great for dogs with short noses, like Pugs. – Dog might not like the feeling of a harness. Is your dog coughing more than usual? If your dog recently spent a lot of time around other pups and is showing signs of respiratory distress, they may have picked up a curable but stressful illness. Kennel cough is contracted when a dog inhales bacteria or virus particles. Their respiratory tract is coated with mucus that traps the particles, resulting in the voice box and windpipe becoming inflamed. Find out which symptoms to look for, ways to help your canine recover and more about the vaccines needed to keep you pet healthy. 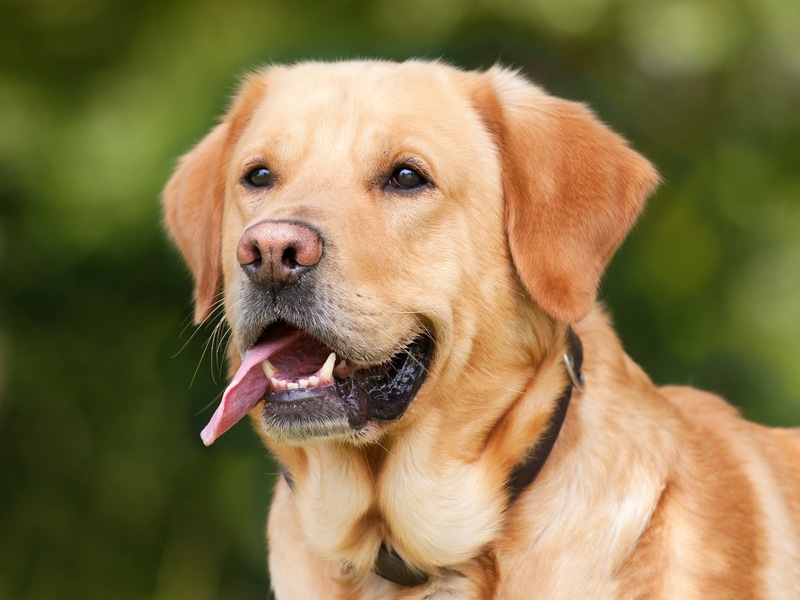 Kennel cough is also referred to as tracheobronchitis and Bordetella. This disease is a respiratory tract infection where the dog’s trachea and bronchi become inflamed. Kennel cough is highly contagious and a high percentage of dogs are infected at least once during their life. Puppies experience some of the most severe complications since their immune systems aren’t fully developed. What Dogs Are at High Risk for Kennel Cough? Puppies are not the only ones at risk. Older dogs and pregnant females also have decreased immune capabilities making them more susceptible to infection. This severe respiratory disease can spread quickly in overcrowded spaces like doggie day care, boarding facilities and groom facilities putting the pups at a higher risk of obtaining it. - A dog with kennel cough may be acting completely normal activity-wise and appetite-wise, but the main thing you’ll notice is their cough. Below are some symptoms to be on the lookout for. There are two main treatments for tracheobronchitis and Bordetella. Less serious cases require no antibiotics while more serious cases require them. If your dog has minor symptoms then you’ll have to let the disease run its course. An anti-inflammatory agent can be given to your dog to reduce the coughing episodes and help your dog feel more comfortable. If your dog isn’t eating, has a fever and is having severe respiratory problems – your dog may have pneumonia, this means antibiotics will be suggested by your vet. While your pup is recovering from kennel cough remove any items from around his neck. This includes collars, scarves and bandanas. Use a body harness Instead of a collar for your dog on walks to prevent stimulation of the coughing reflex. There are three types of vaccines for this disease: injection, nasal mist and oral. This is a common immunization during your pup’s regular vet visits so be sure to ask if you expect them to spend time around other animals. The nasal mist and oral vaccine are given to dogs once a year, but if your pup is at high risk it may be recommended every 6 months. Note that the Bordetella part of the vaccine takes 3 days to be effective. The nasal mist and oral vaccine also provide protection to the animal sooner than the injection does. Notes: While these vaccines reduce the likelihood of illness, they don’t guarantee your pup won’t get sick. Also, the vaccine does not treat active infections. One of the most outgoing and affectionate of all cat breeds, the rare and beautiful Turkish Angora has a fascinating history and is considered a national treasure in its native land. 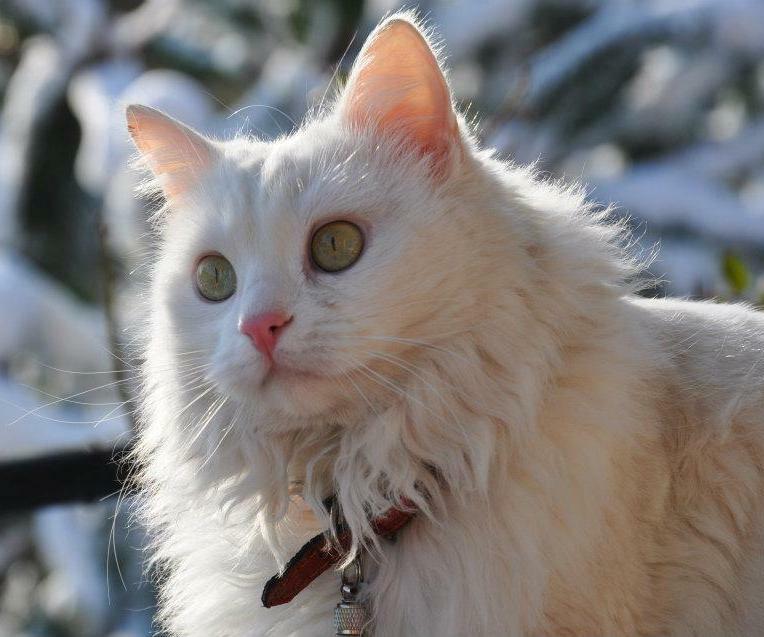 Many Turkish Angora owners in the United States consider their cats a treasure as well! Turks are not only intelligent, but extremely adaptable, loving and playful, which makes them an excellent choice for families with young children, and lively companions for senior adults. They readily accept dogs and other animals, but their assertive natures often make them the “alpha” pet in the household. The Turkish Angora’s soft, silky coat rarely mats and requires only minimal grooming. Most breeders recommend combing once or twice a week with a fine-toothed comb or slicker brush to remove excess hair and keep the coat looking and feeling its best. Like all long-haired breeds, they lose some coat during the summer months, when more frequent combing may be needed to prevent hairballs. Most likely, the breed originated in the mountainous regions of Turkey, where it developed an unusually soft, medium-long coat for protection against the harsh winters. Possibly it evolved from the Manul cat, a small feline domesticated by the Tartars. This pure, natural breed can trace its written history as far back as 16th-century France. However, in the early 1900s, it was used indiscriminately in Persian breeding programs and virtually disappeared as a separate breed. 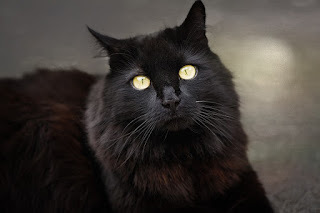 For many years, all longhaired cats were referred to simply as “Angoras.”Angora CatFortunately for cat lovers, controlled breeding programs had been set up in Turkey to preserve this living treasure. There, in the 1950s, at the Ankara Zoo, the Turkish Angora was discovered by American servicemen and re-introduced to the cat fancy. All Turkish Angoras registered by CFA must be able to trace their ancestry back to Turkey. Although the first import on record arrived in the U.S. in 1954, it was not until the mid-1960s that the breed became numerous enough to seek recognition from CFA. White Turkish Angoras were accepted for registration in 1968, for Provisional Breed competition in 1970, and for Champion-ship competition in 1972. The first CFA grand champion, GC NoRuz Kristal of Azima, came in 1976. However, it took another two years before colored Turkish Angoras were permitted to compete in Championship with their all-white siblings. So you've finally picked the perfect pooch. You researched breeds and mixes. You considered age, gender and types of fur. Now that darling new family member is looking up at you, and it's time to name him. The choices are endless. You can give him a typically human name or a typically canine name. You can name him for his appearance, his heritage or his personality. In choosing a name that will make both him and you happy, consider how it will sound to him and how it will sound in social situations. Choose a name that has no more than one or two syllables. If there's a longer name that you love, think of a one to two-syllable nickname. A name with more syllables takes too long to say when you're repeating it to get your dog's attention and is less likely to capture your dog's attention. Consider the sound that begins prospective dog names. Choosing a name that begins with an s, k or c sound may help your dog hear his name when you call him in a noisy environment. Pick a name that ends with the right sound. Names that end with a vowel may also help your dog to distinguish his name if there is other noise when you call him. Think about whether the name you're choosing rhymes with or sounds like common commands you may teach your dog. For example, if your dog's name is Rover, he may confuse it with the command "roll over." If his name is "Socks," will he expect a walk every time you say his name? Avoid very common names. If your dog's name is Lady and you call her at the park, you may have a whole pack show up at your feet. Consider the future. Think about how the name you give your dog today is going to fit and sound three or four years from now. Naming your new Labrador puppy "Tiny" might not seem like such a good idea when he's 70 pounds...or maybe it will! Choose a name that is not going to embarrass you when you use it in public. 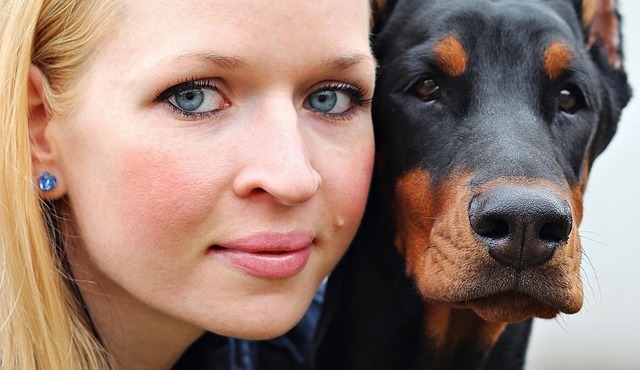 It may seem funny to name your gentle, lazy Rottweiler "Killer," but think about how you will feel giving that name to the receptionist at the veterinary clinic when you take your dog for his vaccinations. Think about who else might share a name you're considering giving your dog. Many guardians choose "human" names for their pets, and there's no reason to exclude these names from your choices. Just keep in mind that if your dog and your great uncle are both named "Bill," it could make for an awkward situation when you're scolding "Bill" for stealing food from the Thanksgiving table. Look at your dog and consider the obvious. If your new companion is a fuzzy, white Spitz, maybe "Snowball" is a name to consider. If you're looking for a twist, maybe "Midnight" is more your style. The best way to diagnose a worm problem is with a visit to the vet. Treatment depends on which type of worm your dog has, but generally includes an oral medication and may require follow-up. Don't try treating worms yourself: A medication that kills roundworms, for example, doesn't kill tapeworms. 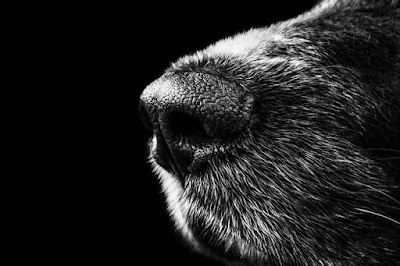 Your dog’s nose has a layer of mucus that appears naturally at the tip of his nostrils. This helps to catch scents and enhance the detection of odors. The pet’s tear ducts also produce moisture that runs into its nasal cavity on its way to the entrance of the nostril. Here it helps to absorb irritants like pollen. Dogs have been known to lick their noses every now and then, which also contribute to their wet and cold muzzles. 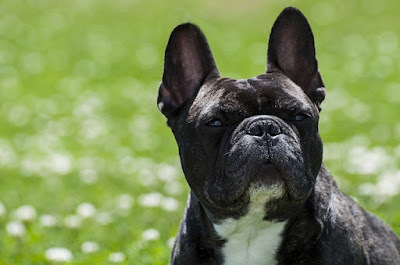 One of the reasons behind this habit is that dogs have long snouts and noses, which tend to get dirty very easily particularly when they are rooting around in food. Licking is just part of their cleaning process. Another reason dogs lick their noses is to wipe off the scent chemicals contained in the mucus mentioned above to allow the olfactory glands located at the roof of their mouth to sample them. Dogs that spend time outdoors usually have the habit of sniffing their environment. During this process, their noses naturally pick up moisture from plants, grasses, the ground, and other sources in their surroundings. This contributes to their cold and wet noses as well. While your dog’s nose is supposed to be moist, it should not be dripping or running. This could signify the presence of an irritant, tumor, or infection. One precautionary measure you can take is keeping potential irritants like household chemicals, grass piles, and strongly scented flowers away from your dog’s reach. You should also safely discard hazardous materials like sharp objects, strings, and broken glass instead of leaving them in the household trash, where your dog can poke his head inside for a sniff. The idea that cats thrive on milk is a myth. In fact, the opposite is often true. Most cats are lactose intolerant, meaning that they can't properly digest the sugars in milk. This can result in diarrhea. While some cats can digest milk with no problems, they don't need it. So most vets recommend skipping the milk. Your dog may be tempted to rifle through the neighbor's garbage in search of a treat, but don't let her! Food gone bad is no healthier for pets than it is for people. Dogs who eat garbage are at risk for bacterial food poisoning or irritation of the pancreas. Spoiled food may also contain toxic mold, which can cause vomiting, severe tremors, seizures, and death. We may think of bones as a wonderful treat for dogs, but the FDA paints a different picture. The agency warns that chewing on bones can injure the teeth, tongue, or mouth. Bones can also get stuck in the digestive tract, where they will have to be removed with surgery or an endoscope. If your dog likes to chew, ask your vet about safer alternatives. It can be hard to resist a dog that's begging at the table. You look into those big eyes and want to share your food with your pet. But rewarding your dog's barks or whines will only encourage more begging in the future. And then you can forget about quiet dinners with your family. If you want to share table scraps as an occasional treat, do it away from the table -- and use the food as a reward for good behavior. Also, some human foods can be toxic to pets. Cats have a low thirst drive by nature, so they may not drink enough to stay well hydrated. Chronically underhydrated cats could be at risk for urinary tract disorders. Encourage more drinking by adding a water fountain designed for cats. There is also a prescription food by Royal Canin (Urinary SO) that is a dry food that encourages pet to drink. Canned food is generally about 78 percent water and is a good option too, but not needed by every cat. A fluid-rich diet is particularly important for cats with a history of urinary tract problems. Some women are advised to give up their cats during pregnancy, but is this necessary? The concern is an illness called toxoplasmosis, which is caused by a parasite found in feline stool. If a woman is newly infected during pregnancy, her fetus could be harmed. 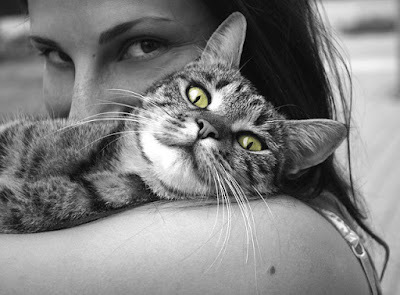 But most people who have cats already have antibodies to protect against toxoplasmosis. The CDC advises pregnant women to keep their cats but avoid handling cat litter if possible. If an emergency forces you to evacuate your home, what will you do with your pets? Leaving them behind is not an option if your community is threatened by fire, flooding, or hurricane-force winds. And not all Red Cross shelters allow you to bring your pets. It's best to identify pet-friendly shelters and motels ahead of time, so you can keep your pets with you during an emergency. If a friend is giving away puppies or a local animal shelter is filled to capacity, you may be tempted to bring home a new pet. But this should never be a spur-of-the-moment decision. You are making a long-term commitment to care for the animal -- 10 to 15 years for dogs and up to 20 years for cats. It's also best to do some research ahead of time to decide what type of pet -- and what specific breed -- would be best for your family. Iguanas are cold blooded reptiles. They are not easy to care for and often die in captivity. They should never be purchased without careful consideration. 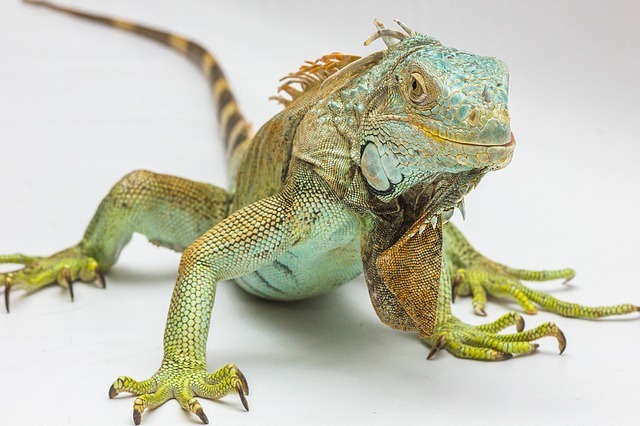 Iguanas are very expensive to care for, you need to make sure that they have the proper heat and lighting conditions, that they are fed the correct foods, and that their cage offers them enough room to grow to their full 4–6 feet (1.2–1.8 m). If you are considering buying an iguana, think how it will cost to spend the majority of your money making sure they are properly cared for. They are not a throw away pet! Give your iguana a lot of proper light. Iguanas need lots of natural special light so they can absorb U.V.B. and U.V.A light. U.V.A light keeps your iguana feeling good and helps reptiles have a good feeding response. U.V.B. light allows the iguana to digest their food and absorb vitamin D which allows them to absorb the calcium that they need to help prevent metabolic bone disease.The best source of U.V.A light is the sun or basking lights. U.V.B. light should be purchased at pet stores like Pet Smart offer fluorescent bulbs that are designed specifically for U.V.B. output. It is necessary to change out the U.V.B bulb every 6-12 "nine months is usually best" to keep your iguana healthy. It is very important to provide adequate heat for your iguana. These reptiles are native to warm climates such as Central and South America, and they are not used to lower temperatures. When keeping an iguana as a pet it is important to have a heat lamp to keep the iguana warm. Average temperature needed on a day to day basis is between 80 and 90 degrees. Once you have a heat lamp in place it is important to make sure that you watch your iguana to see how they react to the heat. If they are constantly under the heat lamp it needs to be warmer, if they are never under the heat lamp it needs to be cooler. Nighttime temperature shouldn't drop below 75oF, daytime temperatures should be in the range of 85-95oF, with a hot stop between 97-99oF. Check your temperatures. These temperatures can be attained by use of heat lamps hooked up to a dimmer. Iguanas are cold blooded and cannot regulate their temperature like humans. Therefore when they get to hot or cold they move to where it is cooler or warmer. Do not allow your iguana direct access to the heat lamps as they may burn themselves. Electrically heated terrarium rocks, though aesthetically pleasing are potentially dangerous and should not be used. Prepare your iguana's home. You'll need a nice large house for your iguana. An aquarium that you get from a pet store is not big enough, even for your baby iguana. A good size for an adult iguana cage is 3 feet (0.9 m) deep x 6 feet (1.8 m) wide x 6 feet (1.8 m) high. This will give even an adult iguana some space to move around. Other things to consider include the need for large branches, as iguanas love to climb. As a way to regulate the humidity within the cage consider buying a humidifier to put moisture into the air. The most important thing to remember when buying or making your pet's home is that iguanas grow very fast. Feed your iguana properly. Iguanas are vegetarians and a variety of dark green leafy vegetables will keep your iguana healthy. Recommended greens are -collard greens, mustard greens, alfalfa, dandelion greens, watercress. Iguanas do not eat head or iceberg lettuce as these have virtually no nutrition! Romaine lettuce is acceptable, yet iguanas also need a wide variety of other fruits and vegetables to maintain a healthy diet. These include -yucca root, snap peas, parsnip, papayas, okra, mango, kabocha squash, green beans, butternut squash and acorn squash "avoid citrus fruits though, as reptiles can't handle the acidity". For treats you can give them - dahlia, hibiscus, grapes, raspberries, strawberries, or whole wheat bread pieces "give them bread very sparingly though" and do not be afraid of giving your iguana some "Commercial Iguana Food". It does provide the nutrients they need. However, it is "highly" recommended to give them vegetables and fruits so they have a broad source of vitamins and nutrients they need as well as extra hydration. Iguanas need a constant supply of fresh, clean water to drink from! Be sure to change the water frequently, otherwise you risk having a sick lizard! Multiple Iguanas- Not a good idea if in the same cage. Iguanas are by nature very territorial, in the wild they live on their own and only get together to mate. Having two or more iguanas in the same cage will usually cause them to become aggressive with each other leading to fights and injured iguanas. This can cause disease such as mouth rot. Mouth rot happens if the iguanas get hurt at the mouth and the wound gets infected. Likely you won't notice it for a while but he or she will eventually stop eating due to the infection. Mouth rot can also occur from bacterial, viral, and parasitic origins. Mouth rot can occur from incorrect cage humidity and temps, poor nutrition, or bacterial infection. You can tell right away if your pet has mouth rot by just looking at his mouth. If you see puss in the mouth "usually looks like cottage cheese" or any swelling on the jaws, its most likely a type of mouth rot. There are vast ways an iguana can be in danger of something going wrong but mouth rot can be more common due to improper cage setup. It is treatable, but do not wait until your pet is very weak to get him treated, otherwise it may be too late to save the iguana. Don't wait to treat a problem or your iguana may die. Do as much research as possible, and set thing up right the first time around. An iguana can become a wonderful pet if care is taken seriously, as these lizards can live 20+ years. Sure, you love your dog. But do you really understand him? If you think a wagging tail is always a good sign, you could be in for a nasty surprise. When a dog wants to threaten someone, he may hold his tail high and wave it stiffly back and forth. Mistake this warning for a sign of playfulness and you could get bitten. To avoid misunderstandings, learn about your pet's body language. Just like children, your pets will get bored if you don't play with them. And boredom can lead to troublesome behaviors like chewing, digging, barking, and whining. Bored cats may resort to scratching and excessive meowing. Fight boredom by hiding treats for your pets to find around the house. Provide toys your cat can chase. Teach dogs to play fetch, tug-of-war, or hide-and-seek. Multiple cats plus one litter box equals a formula for elimination problems. That's a nice way of saying your cat may choose to pee or poop on the floor. Cats can be very picky about their litter box. If it's dirty or smells like other cats, they may not use it. Experts recommend having one litter box for every cat in your home, plus one extra. It may be helpful to space out their boxes around the home. It's important to provide puppies and kittens with positive human interaction during their first seven weeks of life. This includes handling and play that fosters trust in people. Reputable breeders will begin this interaction, and you can continue the process when you bring your pet home. To develop a strong bond, play with your new puppy or kitten every day. Some people expect their pets to know right from wrong without being told. But human etiquette does not come naturally to dogs and cats. You need to make it clear that jumping up on people, scratching the furniture, and peeing on the carpet are unacceptable. Be consistent about the house rules, and reward your pets for good behavior. If you need guidance, consult a trainer promptly. If you come home to find a puddle of pee on the floor, you may have the urge to yell at your pet. But animal behavior experts say this will do no good at all. The transgression took place in the past, and your dog or cat won't know why you are yelling. A better strategy is to praise your pets immediately when they do their business where they are supposed to. Most children adore animals, but sometimes their enthusiasm can lead to someone getting hurt. Young kids may play too rough, pushing a dog or cat to strike out in self-defense. Be sure to supervise play time when a new pet joins the family. Set rules for how children should treat the pet and teach them to recognize the signs that a dog or cat wants to be left alone. A poorly trained dog can pull you over while you’re out for a stroll. According to the CDC, tens of thousands of people end up in the ER every year because of pet-related falls. Many of these falls occur during walks -- either when a person trips over a dog or is pulled or pushed by one. Experts say obedience training is the best way to make sure your pooch doesn’t take you down during the morning walk. After a walk in the woods, you check yourself for ticks, right? Don't forget about your dog. Tick bites put your dog at risk for Lyme disease, Rocky Mountain spotted fever, and a handful of other diseases. They can also cause serious illnesses in cats. If your pet has infected ticks, this puts the rest of the family at risk. If you find a tick, remove it carefully with tweezers, being careful to get all of the head and not to crush it. Ask the vet about tick control. If your pet has a round bald patch, ringworm could be to blame. Leave this fungus untreated, and you're putting your family at risk. People can get ringworm from dogs or cats by touching their skin or fur. Ringworm usually causes a reddish, ring-shaped rash on the skin or bald spots if it infects the scalp. If your pet has hair loss, take him to your vet to see if it could be ringworm. 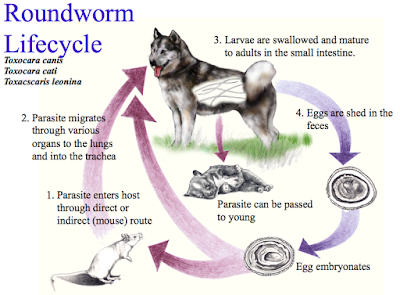 Roundworms are common parasites in both dogs and cats. They cause diarrhea and vomiting and may lead to serious illness. But many people don't realize these worms are a threat to humans, too. An infected pet can contaminate soil or sand with tiny eggs. Kids may ingest the eggs by putting dirty fingers in their mouths. When the worms hatch inside people, they can cause blindness and other tissue damage. 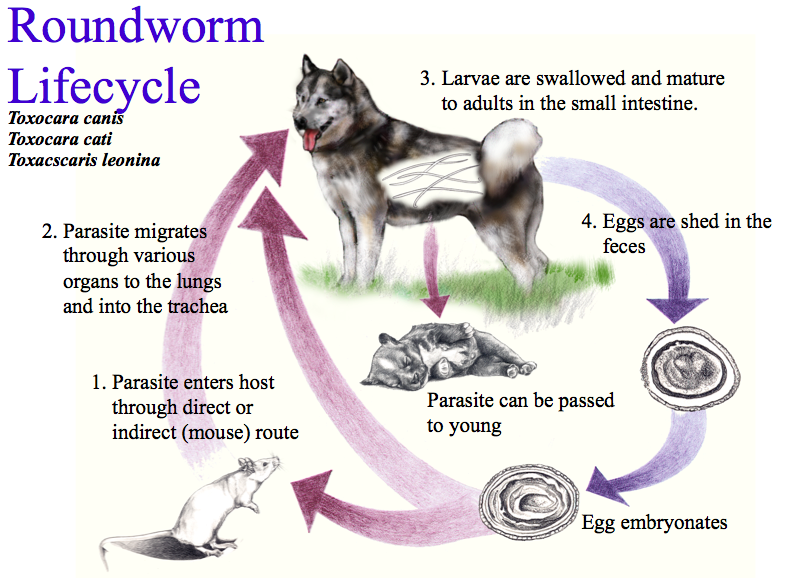 Ask your vet about regular deworming. Skip your pets' flea medicine, and they aren't the only ones who will pay the price. Fleas will quickly set up shop on untreated pets, particularly in summer and fall, and fill your house with their eggs and young. Some people wind up covered in itchy sores. Fleas can also transmit serious diseases to people including bubonic plague. Ask your vet about long term flea medication and put a routine reminder on your calendar. Millions of cats and dogs live on the street or end up euthanized because of unwanted litters. Still, many people are reluctant to spay or neuter their pets. The fact is, spaying and neutering is a healthy choice for your pet. It reduces the risk of breast cancer in females and testicular cancer in males. Neutered males are also less likely to run away from home, mark their territory, or exhibit aggressive behaviors. With the best intentions, some people keep their pets' food bowls full at all times. This is one of the most common mistakes pet owners make. The problem is that cats and dogs often eat more than they need. If food is constantly available, they will take in too many calories and put on too much weight. Vegetarian people sometimes want their pets to share their lifestyle. The trouble is cats are "obligate carnivores." This means they must eat meat to survive. They depend on nutrients, such as the amino acid taurine, that are only found in animal tissue. Dogs may be able to handle a well-balanced vegetarian diet, but check with your vet first. Just like people, pets need exercise to stay healthy. Couch potato pets are prone to obesity, which raises their risk of respiratory problems and joint problems. The right amount of exercise for a dog depends on the breed and size, but vets recommend at least a half-hour each day. Taking brisk walks with your dog can help you get in shape, too. Just as the saying "a chip off the old block" often holds true for humans, it can apply to dogs as well. Puppies that are well-socialized are more likely to come from dogs that are well-socialized. A basic part of a pup's socialization is based on their mother's attitude--relaxed or skittish--toward people. The way you interact with your new puppy can play a big role, too. Playing, petting, and talking with your pup can help him or her develop the "people skills" needed to be a good member of the family and the neighborhood. While weaning for puppies can take place at six to seven weeks, they are still learning important skills from their littermates as their mother gradually leaves them for longer periods of time. Puppies that stay with their litter for at least three months are more likely to develop good social skills as they act as role models for each other. When puppies are separated from their littermates too early, they often fail to develop key social skills, such as sending and receiving signals, the hierarchy process (who is in charge), how far to go in play-wrestling, what mouthing pressure is acceptable (inhibited bite), and so forth. Play is important for puppies. It increases their dexterity, social interaction, and helps them to learn their boundaries. Through these interactions with their mother and littermates, puppies learn what being a dog is all about. During the first eight weeks of age, skills not acquired may be lost forever. Most dogs are considered puppies for up to two years of age, though puppyish behavior may end sooner or last longer in some breeds. The stages listed below are essential and fairly constant. However, dogs are open to new knowledge and training well beyond the puppy years. Here are some general guidelines for puppies' stages of development. The senses of touch and taste are immediately present after birth. The mother has the most influence over the puppy. Mother and littermates continue to influence a puppy's behavior. The sense of hearing and smell develop, eyes open and the teeth begin to appear. A puppy begins to stand, walk a little, wag its tail, and bark. A puppy's eyesight is well-developed by the fourth or fifth week. A puppy needs occasions to meet other pets and people during this stage. By three to five weeks, play becomes important as a puppy becomes aware of his or her surroundings, companions (both people and dogs), and relationships. The influence of the puppy's littermates increases at four to six weeks as he or she learns more about being a dog. From four to twelve weeks, a puppy's interaction with people becomes more influential. With littermates, the puppy learns to play, develops social skills, learns the inhibited bite, explores his or her social boundaries and hierarchy, and improves physical coordination. By five to seven weeks, a puppy needs positive human interaction as he or she develops curiosity and explores new experiences. A puppy has full use of his or her senses by seven to nine weeks. A puppy is refining his or her coordination and physical ability, and can begin to be housetrained. 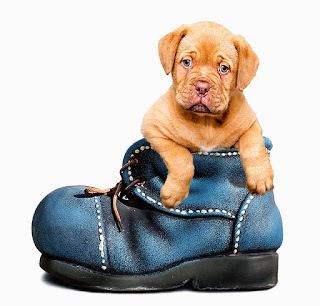 At eight to ten weeks, a puppy can experience real fear involving everyday objects and experiences. During this stage, a puppy needs support and positive reinforcement. Enhancing responses, advancing social skills with littermates (proper contact), and investigating the surroundings and items takes place from nine to twelve weeks. This is a good time to begin elementary training as a puppy will begin to focus on people. Ranking (dominance and submission) within the household or "pack," including people, is seen and used by a puppy in this stage. A puppy's play group, which may now include those of other species, becomes influential in his or her life. A puppy experiences another fear stage at four months of age, so be prepared with positive reinforcement and introductions to objects and situations. A puppy is most affected by human and dog "pack" members. A puppy may challenge people as part of exploring his or her dominance in the "pack." At seven to nine months, a puppy will begin exploring more of his or her territory, prompting a second chewing phase. A puppy will experience the beginnings of sexual behavior if not spayed or neutered. Feeding your pet can sometimes seem overwhelming. And even though your bird might be able to say "Polly wants a cracker," an all-cracker diet may not be the best thing for our feathered friends. In this day in age, it's all about variety. Bird feed is no different. Go to any pet store and you'll see a vast array of commercially made pellets and seeds available, many of which your vet or local aviary will recommend. However, you can also supplement a bird's diet with fresh foods, too. Just don't start feeding your pet whatever you happen to have in the house -- birds are delicate creatures. Research the foods and consult your vet or an aviary employee so you don’t accidentally harm your little feathered friend. Many experts recommend feeding your bird raw items rather than cooked food, as cooking will often remove the food of vital nutrients. Raw vegetables and fruits, meanwhile, are an excellent source of nutrients. 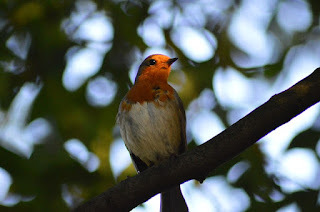 However, they should be introduced slowly; this allows your bird to adjust to the change in diet. A sudden change can lead to an anorexic bird, and no one wants that. Of course, you should still let the bird have access to its regular food, and fresh, clean water should always be made available. When you first try to introduce fresh food, though, you might find yourself with a fussy bird on your hands -- regardless of whether it is a fruit or vegetable. Don’t despair. Remain patient and keep on trying. Eat the food yourself in front of your bird (hey, if it works with kids, why not with birds?). Eventually the bird will realize this food must be good and take the food right from your fingers. After all, no one likes to miss out on some tasty grub. Vets claim this inflation-busting rise is the result of the development of new drugs and medical technologies – which have helped many pets recover and live with conditions that would have proved fatal in the past. But there have been concerns over some veterinary practices recommending additional check-ups or treatments to extract more money from the insurer. With vets' fees rising sharply, the average single pet insurance claim now costs more than £600, with pet insurers paying out £1.3m in claims every day, according to figures published by the Association of British Insurers. But is it always worth taking out cover? Or should you join the millions of pet owners who take the risk and don't get any cover at all? Pet owners can choose from four main types of cover: "accident only", ''per condition with a time limit''; ''per condition''; and ''lifetime'' cover. This insurance covers a pet if they need veterinary treatment after an accident, but not if they have an illness. Some policies may also have a time limit for the treatment and there is a fixed sum of money for each accidental injury to pay for the treatment. The cover is one of the cheapest. It will pay vets' fees for accidents and illnesses, but only for a maximum of 12 months after your pet has been diagnosed. Insurers of this type of cover will often impose a maximum payout, so, if the cost of a treatment reaches the limit, you will have to foot the remainder of the bill. An insurer may provide a policy, for example, with a maximum veterinary fee of £2,000 and a time limit of 12 months. So, if the bill is more than £2,000 or you go after 12 months, you will have to pay the extra. With ''per condition'' cover, insurers provide cover for a set fee limit, but do not impose a time limit for how long the treatment lasts. The cover will continue for any treatment as long as you renew the policy after 12 months. Re-occurring illness or injury will not be covered by this type of policy. ''Lifetime cover'' is the most comprehensive type of pet insurance, but also the most expensive. Insurers will set a high maximum amount per year – say, £10,000 – but you will still have to renew the policy each year, and some insurers can refuse to renew it. The policy will sometimes cover extras like dental fees or burial expenses. For all types of cover, pet owners must pay the "excess", or first part of any claim themselves. You can choose to lower your premium rate by increasing your excess, or vice versa. Usually, there will be an initial flat-rate excess charge of around £50. Peter Jones, president of the British Veterinary Association, said that all pet insurance policies had some exclusions. "The most common being pre-existing conditions, anything related to pregnancy or birth, and any routine, preventive or planned treatments such as vaccinations and spaying." Almost all insurers will refuse to cover an animal with a pre-existing medical condition. If they do, the premiums are likely to be huge. 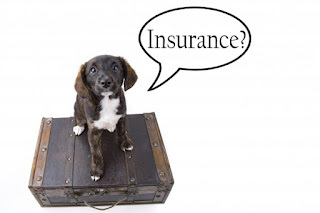 The price of pet insurance varies depending on where you live and your pet's breed and age. For example, Rottweilers are one of the most expensive dogs to insure based on their breed's history of medical complaints. If your pet has been neutered and microchipped, the premiums will often be reduced. Should I take out pet insurance, or just take the risk? How do the prices compare? It really is up to you. There is no NHS for pets, so even basic treatment can cost hundreds of pounds. For instance, the average cost of treating a dog injured in a road traffic accident is £674, and £300 for a cat. More serious conditions such as hip dysplasia can cost more than £4,000. And bills can run up to more than £10,000 if the animal has cancer. On the other hand, your pet could be lucky and only have to go to the vet a few times in its lifetime. As a result, the total spent on veterinary bills would be quite low. If you chose to take out monthly insurance for your pet, for an animal's entire lifespan, say 12 years, at an average policy price of £50 a month, then you would end up paying more than £7,000 over the 12 years. "Pet insurance is as much about peace of mind as it is about money. You may pay insurance premiums for years and never make a claim. But think about whether you could afford a huge vet's bill if your pet fell ill or had an accident in the short term," warned consumer body Which? Premiums for older pets rise rapidly year on year, leaving pet owners in an uneasy position. They could pay extortionate prices to have their pet covered; take Greg Rowan, who had to pay out £285 a month to insure his British bulldog Busby with M&S Bank, because of the dog's age and history of claims due to dermatitis and eye treatment. Or pet owners could leave their pet uninsured, and pay the vets' bills themselves. Animals and Pets. Simple theme. Powered by Blogger.